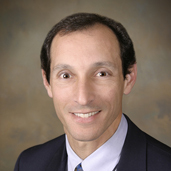 Dr. Jeffrey Mann is a native of Oakland, and has been practicing Orthopedic Surgery in Oakland for 20 years. After completing his orthopedic surgery residency at UC San Francisco, Dr. Mann completed fellowship training in sports medicine at Lake Tahoe, a second in foot and ankle surgery in Oakland. His practice focuses on complex foot and ankle reconstruction including ankle replacements and deformity correction, sports medicine problems of the knee and ankle, total knee replacements, and fracture treatment of the foot and ankle. Dr. Mann has published book chapters and written scientific papers about numerous topics, including ankle replacement surgery, ankle arthroscopy and cartilage repair techniques, bunion repair, and ankle ligament injuries. Dr. Mann lectures regularly at orthopedic meetings across the country, and is a national expert in cartilage repair techniques and ankle replacements. Dr. Jeffrey Mann helped pioneer the use ankle replacements in this country, after he and a team brought the STAR ankle replacement over from Europe. He has been performing the STAR ankle replacement for almost 20 years. Dr. Mann is a team physician for the University of California at Berkeley sports teams. He also volunteers at the students’ clinic at UC Berkeley. He spends his free time with his family, mostly exploring the outdoors.